Former Manchester United defender Rio Ferdinand has blasted Arsenal for their lack of winning mentality. Having been right in the midst of the Premier League title race earlier this season, Arsenal are now nine points behind the table toppers Chelsea, and virtually out of contention for lifting the decorated trophy this season. Despite having some of the best players in the country, the Gunners are all set to conclude yet another domestic campaign without winning the Premier League, and Rio Ferdinand has now criticised the London club for lacking the winning mentality. Speaking as a pundit for BT Sport, Ferdinand stated (via ESPN): “I think the mentality has not been there for a long time, and this team is no different to the team of six years ago. “The best teams, like Chelsea, they get beaten and they come back straightaway. Everyone was saying they might have a wobble after losing at Tottenham, but they haven’t lost since. And this poor mentality is precisely the reason why Arsenal‘s best players decide to leave the club in search of glory elsewhere, claims the former England center-back. 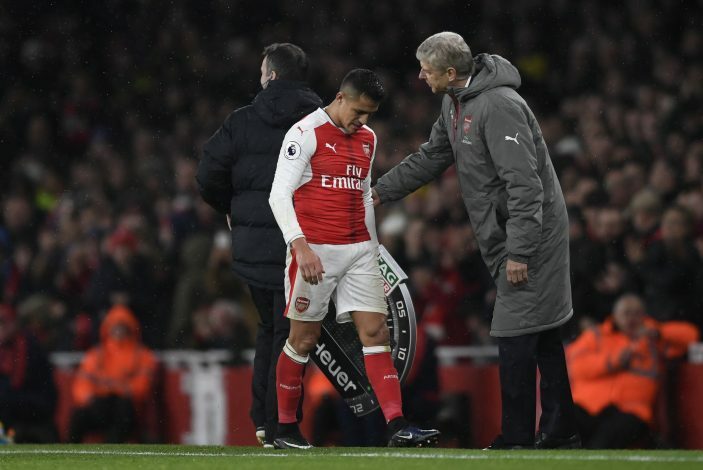 The 38-year-old concluded by stating that he believes the Arsenal board have grown content with a top 4 finish, and have no aim to actually win the English title. “We have just got to understand that the club have got a remit and that is to finish in the top four, because that is what the last 10 years have told you,” he added.